"At AuroroTech, we record your actions and your words, then transform that data into a lifelike simulation. After that, the possibilities are endless. Imagine meeting yourself, being able to experience what others truly see and hear when they talk to you. Imagine if your friends and family could always keep in touch, no matter how busy you are. Imagine if in a hundred years from now, a part of you remains for future generations to interact with. When Persephone Kilard signed up and strapped on the miniature recorder, all she wanted was a social networking service that would take the actual work of socializing off of her hands. Fringe religious groups could wax poetic about deeper meanings and universal truths; she just wanted to make her life a little easier. After all, the simulation was only supposed to be her reflection, not her soul. But there was one small glitch. Suddenly Persephone’s digital profile has a mind of its own. Face to face with herself, Persephone is forced to confront questions about the nature of identity that she’d rather avoid. She’d better figure it out quickly, though, because hers isn’t the only mind lurking in AuroroTech’s drives and networks. 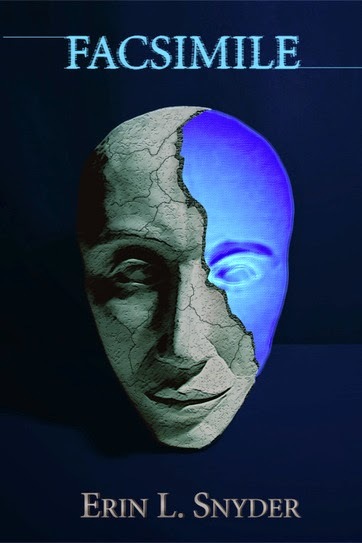 Somewhere, hidden in the code, a simulated ghost is watching her while the border between reality and replica unravels. The virtual danger is becoming all too real, and both versions of Persephone need to uncover the truth if either is going to have a chance to survive." 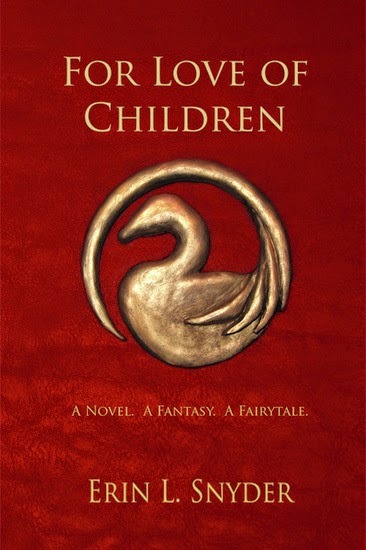 Set in the aftermath of World War II, For Love of Children is a dark fantasy novel whose characters are drawn from a mythology of nursery rhymes and fairytales. Santa Claus, a former bishop who achieved immortality through magic and alchemy, is torn between a desire to help the world and a need to control it. At best, his gifts are symbols of generosity; at worst, they are tools of manipulation. The tooth fairy is the last of her kind. When her race was taken from the world she remained, unwilling to leave the children she loves. She is alone, hunted by Father Time, who seeks to rid the world of childish things. Peter is neither a rabbit nor a man. His memory is fragmented and uncertain. For centuries he has existed in secret, hiding from mankind and himself. Once a year he emerges with the spring, leaving painted eggs and straw baskets for the children of a nearby village. Narrated by Mother Goose, once a goddess who's been all but forgotten, the novel explores the dangers of idealism and the pain of loss. When I was growing up, fantasy was full of elves, dragons, and goblins. It was the mix of myth and fairytale that caught my imagination and made me fall in love with the genre. Like everything else, fantasy literature moves in trends. Certain elements and tropes go out of fashion, and others are introduced. At some point the elves, dwarves, and monsters fell out of favor. To many readers, they became synonymous with a brand of epic storytelling that had grown repetitive and stale. But these are the elements I love. 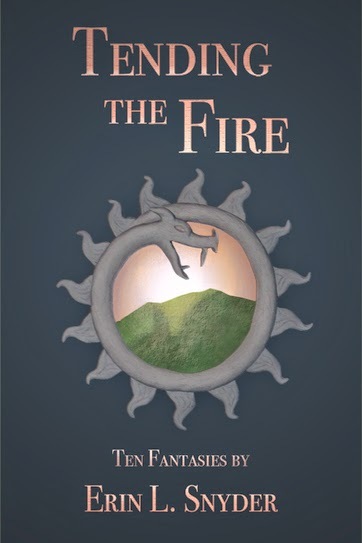 I wrote the ten short stories inTending the Fire to celebrate the history of this genre and all its glorious trappings by exploring them in a new light. In this collection, you’ll find existential stories about gnomes and assassins, cultural clashes between magical empires and lost villages, comic adventures and dark fables, stories that touch on the nature of dragons, dreams, and of story itself. 25 Christmas Eves is a literary advent calendar exploring the holidays from a very different perspective than you're probably used to. 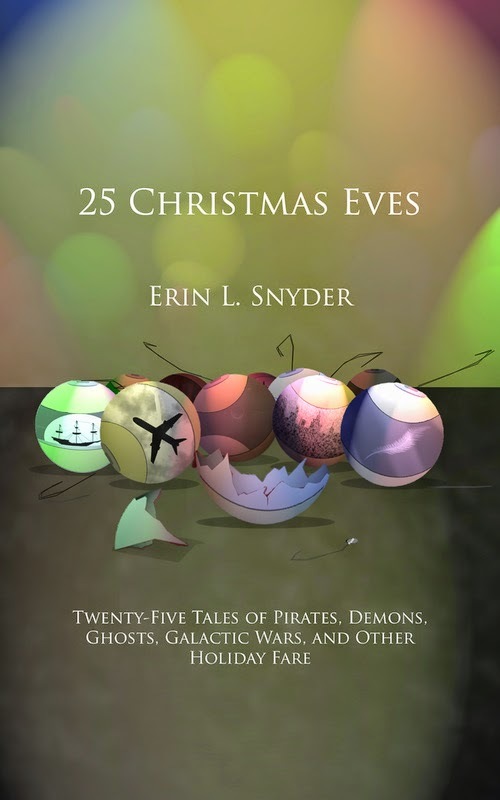 You'll find stories about zombies, ghosts, aliens, reindeer... basically anything that shouldn't exist in our world but comes out of the shadows every Christmas to threaten life as we know it. And best of all, there's enough to enjoy one story a night from December first through the big day. Or you could gorge yourself on holiday cheer and read through them all in one night. We won't judge. The stories represent dozens of different sub-genres but all center on Christmas Eve. You'll find horror, comedy, science fiction, fantasy, and more... sometimes in the same story. NOTE: You can also read the fiction in 25 Christmas Eves at Mainlining Christmas. 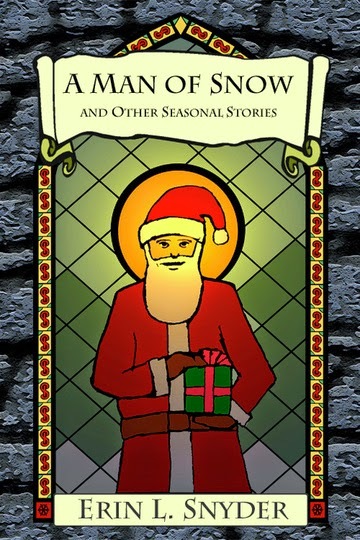 From nihilistic elves to tortured snowmen and cursed gifts, A Man of Snow and Other Seasonal Stories explores a different side to the holidays. These five tales will take you from the North Pole to an empty shopping mall on Christmas Eve, and even through the dark depths of the US Postal System. Whether you love the holidays or hate them, this is our gift to you. Contains four stories which ran on mainliningchristmas.com during December 2010, plus an exclusive story: "The Escape"